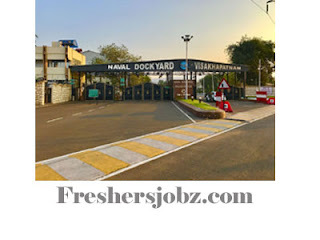 Naval Dockyard Visakhapatnam Notification 2018.Naval Dockyard Visakhapatnam has released a notification for the recruitment of Trade Apprentice Vacancies.Check the eligiblity and notification prior to apply for the positions. SSC / Matric / Std X with minimum of 50% (aggregate) and ITI (NCVT) in relevant trades with minimum 65% (aggregate). (b) Police Verification Certificate During Interview. Candidates would be required to produce police verification certificate along with other certificates during the interview. Failure to produce police verification certificate would render the candidature invalid. (a) Candidates are informed that no money is required to be paid to anyone who-so-ever for this enrollment. (b) All are advised not to fall prey to any touts / so called agents in any way for this enrollment. (c) Complaints regarding any touts / agent / anybody demanding money for the enrollment can be intimated to The Officer-in-charge, Naval Dockyard Apprentices School by e-mail along with relevant proof. Full confidentiality of the candidate and case will be maintained. No anonymous complaints will be entertained. (d) Any canvassing directly / indirectly by the applicant will disqu alify his / her candidature. (e) Incomplete applications will not be registered. (f) No cell phones permitted at the venue of exam. Procedure for Applying for Apprenticeship. (a) A candidate is required to register on-line his candidature at web portal www.apprenticeship.gov.in under NAPS scheme by 05 Dec 2018. (b) On completion of online registration at www.apprenticeship.gov.in web portal, a candidate must apply on-line for Apprenticeship Training at Naval Dockyard, Andhra Pradesh establishment at web portal. (i) Log on to www.apprenticeship.gov.in. Home page of web site would open. (ii) Click on Apprentices module in the home page. Drop down menu with various options will appear. Click on Candidate Registration in the drop down menu. (iii) A page titled Registration form for apprenticeship training would open. The candidate is required to fill-up his personal details, contact details, qualification details (academic & technical both), trade preference details in the form. A candidate is required to upload his passport size photo, Date of Birth Document and submit as mandated in the form. (iv) Go back to Home page of www.apprenticeship.gov.in. Click on Apprentices module in the home page. Drop down menu with various options will appear. Click on Apprentice Activation in the drop down menu. (vi) Upon successful completion of Apprentice Activation activity, a system generated auto mail would be sent to the e-mail id registered by the candidate on Apprentice Activation page. This e-mail would contain candidate’s online Registration Number and would provide a link for candidate to apply for apprenticeship training in various establishments in the country. (vii) Note down the on-line registration number for future use and click on the link provided in the e-mail. You would be migrated to Establishment search page. Type Naval Dockyard in the Establishment column and select Andhra Pradesh from drop down of state column. Click search button on the page. Thereafter click on Naval Dockyard (Registration no. E08152800004) prompted on the screen. Establishment details of Naval Dockyard would open on the page. Go to Establishment Trade Details and choose the relevant trade in which you are eligible to undergo apprenticeship training. (d) Go back to Home page of www.apprenticeship.gov.in. Click on Apprentices module in the home page. Drop down menu with various options will appear. Click on “Apprentice Authentication” in the drop down menu. Apprenticeship Authentication page would open. Fill up all details in the form and click on Authentication button in the form. (e) Candidate Profile would open. Download and take a print out from the web portal for forwarding the same to DAS (Vzg). (f) Take the printout of Hall ticket format placed at part - II of Annexure - I of this Advertisement. Enclosed documents are required to be forwarded to “The Officer-in-Charge (for Apprenticeship), Naval Dockyard Apprentices School, VM Naval Base S.O., P.O., Visakhapatnam - 530 014, Andhra Pradesh” by Post so as to reach at DAS(V) by 12 Dec 2018. This would be considered as the off-line application for the purpose of enrollment. (j) Both on-line (uploading of application at web portal) and off-line (hard copy of application by post) are mandatory for considering candidature of an applicant for further scrutiny and issue of hall ticket for written examination. Non-receipt of both applications would disqualify the candidature of applicant automatically. 3. Last date to apply on-line is 05 Dec 2018. 4. Apprentice Profile, two original hall tickets and all relevant documents along with check-off list placed at Part - III of Annexure - I of this Advertisement indicating status of enclosed documents are required to be forwarded to “The Officer-in-Charge (for Apprenticeship), Naval Dockyard Apprentices School, VM Naval Base S.O., P.O., Visakhapatnam - 530 014, Andhra Pradesh” by Post so as to reach at DAS(V) by 12 Dec 2018. This would be considered as the off-line application for the purpose of enrollment.